Homeowners have always been confined to two choices while selling their properties in Ocean City, New Jersey. One could hire a realtor or one can try to find a homebuyer on their own. You do not have to deal with either of the two conventional options as you can sell your house directly to Dependable Homebuyers! You can completely avoid the customary listings, the mandatory advertising, the imperative commission to be paid to a realtor and the perpetual wait before an interested homebuyer actually makes an offer. You can sell your house quickly and at a fair value to Dependable Homebuyers! We are a nationwide company dealing in residential properties and we buy houses in Ocean City, New Jersey. Dependable Homebuyers presents an immediate solution for homeowners anywhere in the city and across the state. Customs dictate that you must list your property for sale on classifieds and other real estate websites. You must hire a real estate agent or broker to represent you and to find interested buyers for your property. You must also pay for property inspections and take into consideration at least one appraisal. Most property owners have to deal with multiple property inspections and appraisals. Some of the property inspections may be carried out by experts to ascertain the value of the house. Other inspections would be the routine visits or tours by realtors and prospective buyers. While the customs have evolved with time and they are indeed relevant for a ton of reasons, none of them actually favor a property owner. You would be at the discretion of the realtor you hire and the preferences of interested homebuyers. The numerous variables that are beyond your control ends up causing a substantial delay. You may not be able to sell your property in a few weeks, months and perhaps as long as a year. 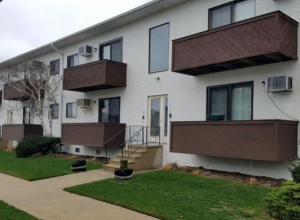 There are properties in Ocean City, New Jersey, that have not been sold despite being listed for over a year. Our immediate solution is simple, straightforward and surefire. We buy houses in Ocean City, New Jersey. If you want to sell a residential property, no matter what type of house it is and where it is in the city, then we are interested in it. We would make you an offer and you can decide if you wish to sell your house to us at Dependable Homebuyers. We do not take the traditional route of looking for homebuyers because we are the buyer. We do not rely on realtors or brokers because we are not trying to facilitate a sale. You are the seller and we are the buyer. There is no third party involved in the sale or at any stage of the deal. We would take care of every legal and financial formality. We will attend to any imperative needs that may arise, be it a property inspection or the research required to ascertain the fair value of your house. Our offer is not an appraisal. It is a purchase offer. We’re available to talk about your property at any time! Give us a call at (609) 281-8989 today. We’re local and would love to meet you at your property in person to talk about your options. Sell your House Directly to Dependable Homebuyers! Whether you hire a realtor or try to find a homebuyer yourself, there will be third parties involved in some capacity or the other. A realtor will be the middleman and therefore the facilitator. The realtor may not facilitate the deal in your favor. All realtors try to promote properties that are easier to sell and where they would earn a more rewarding commission. Realtors will prioritize what is best for their business. Homebuyers too will be completely focused on their preferences and even if there is no realtor involved, they will be dependent on banks or whoever is funding their mortgage. Homebuyers do not always have the free will to decide as there is budget, location constraint and the various attributes about the property that may not tick all their check boxes. Neither a realtor nor an ordinary home buyer will simplify the process of selling a house. We can buy your home using our simple process even when you’re selling an inherited house or selling a house that’s occupied by difficult tenants. Dependable Homebuyers does not rely on banks or financial institutions to fund the acquisition. There are no third party investors. There is no middleman or facilitator. We do not get influenced by anyone and we are the only decisive factor. There is no other way to sell a property that is simpler or quicker, surer or more rewarding in any way you can imagine than to sell your house directly to Dependable Homebuyers. An ordinary homebuyer can only invest in one property at a time. That has to be their dream home. We can invest in multiple properties at the same time and we are not looking for a dream house. 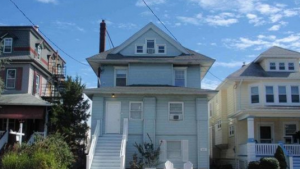 When we buy houses in Ocean City, New Jersey, we buy all types of houses and we do so straightaway. We deal directly with homeowners and therefore simplify the correspondences. We can even help homeowners sell a property when the homeowner has defaulted on the loan. Whatever the situation, we can help. There is no cost for property owners to bear. There is no red tape. There is no seemingly perpetual delay. 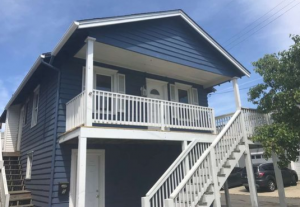 There is unmatched simplicity in how we buy houses in Ocean City, New Jersey, but that is not the only reason why it is a unique service. Our process has an incredible turnaround time. You will get a purchase offer within twenty four hours after you notify us of your intent to sell your house. You can call us or write to us. Quit procrastinating! 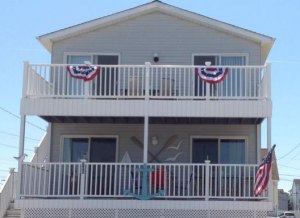 If you need to sell your property in Ocean City, NJ, then give us a call at (609) 281-8989! We shall schedule an appointment wherein a representative will visit your home. Our representative will prepare a report and submit it by the end of the day. Meanwhile, our back end research team works on all the facts concerning your property and will verify everything, from ownership and registration to building codes and other necessary technicalities. The report filed by our representative and the comprehensive assessment undertaken by our research team are then put together to determine the fair value of your property. This becomes the heart of our offer. 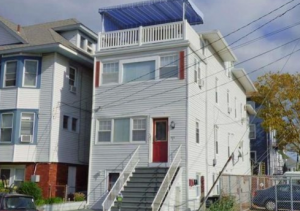 We present this offer in a span of twenty four hours when we buy houses in Ocean City, New Jersey. There is no other way you can get a purchase offer in twenty four hours. You may be able to get an appraisal in twenty four hours. Even that is a rarity since most inspections take several hours and it takes longer than a day to compile the report to be used for an appraisal. It is not uncommon for the whole process of property inspections and appraisals to take up to a week. Many realtors take charge of such processes so their readiness and prompt correspondence or the lack of it will also influence the turnaround time. You can avoid all such variables that are beyond your control and simply get an offer from us within twenty four hours. This is always a purchase offer, a clear intent that we buy houses in Ocean City, New Jersey. While the purchase offer is presented almost upfront, we can also close the deal and complete the sale in a revolutionary span of time. We can complete the whole process in seven business days from the time you accept our offer. We are not a realtor depending on a homebuyer and we are not the latter depending on a bank to approve the mortgage or home loan. We are not relying on any investor or third party to facilitate the purchase. Because of this, we have the ability to close the deal as fast as we want and as soon as a homeowner wishes. If you accept our purchase offer the day we present it to you, then we will take seven days from then to complete the sale. This is our standard practice when we buy houses in Ocean City, New Jersey. Despite the steadfast approach of Dependable Homebuyers, no homeowner is obligated to accept or decline the offer within twenty four hours. As a property owner, you do not have to be hasty to respond to our purchase offer. You can take four days or ten days to decide. Whenever you decide and communicate the same to us, we can swing into action and complete the purchase in seven business days from that time. Our purchase offer shall stand if you take a week or up to a month. You can do your own homework, you can assess if our proposition is fair and then you can choose to accept our offer. Our commitment to close the deal and complete the transaction within seven days would remain unwavering throughout this phase. You have to pay the necessary commission to a realtor you hire. While the commission is to be paid only when the realtor succeeds at selling your property, there are other charges that would be levied regardless of the outcome. You will have to pay for any and every advertising or marketing exercise. You may have to pay for some exclusive or sponsored listings. Your realtor may want you to stage the property to make it more appealing to interested homebuyers. You would have to pay for property inspections. There may be one free appraisal from a realtor but there could be recommendations to make some changes to your property, which will turn out to be quite an investment. Then there would be homebuyers with their likes and dislikes that you should address. Most realtors nowadays offer a package of services. It is no longer just the commission on the sale. There are legal costs, service fees for different types of formalities and there may be some other charges depending on how a realtor operates. You will have to part with a substantial sum of money just to sell your house, when the entire return on your investment could be yours to keep. You do not have to give in to the demands of realtors and prospective homebuyers, thereby investing hundreds and in all likelihood thousands of dollars on renovation or remodeling, repairs and replacements just to make sure you do succeed at selling the house. You will not pay anything when you sell your house to Dependable Homebuyers! There is no reason why you should pay anything. 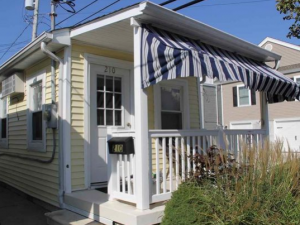 We do not charge a cent and there are no fees when we buy houses in Ocean City, New Jersey. Dependable Homebuyers has to conduct its own appraisal. There may be a property inspection. There will be legal and financial formalities, including paperwork. However, none of these will result in any expenses for you. Property owners do not have to pay us for any of the customary processes that we have to take care of to purchase a property. We pay for everything and we do not even ask you to stage your property. We do not have any fixation over the prettiest house in the most desirable neighborhood in Ocean City. 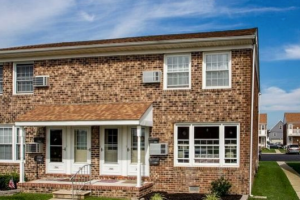 We buy houses in Ocean City, New Jersey, not a particular type or only in a few neighborhoods. We buy all types of houses and we do so without demanding any changes to the property. Even if there are some serious issues that need to be attended to immediately, we will not take a step back. You will get a purchase offer from Dependable Homebuyers. We will buy the house within seven business days after you accept our offer. Give us a call at (609) 281-8989 today! Every aspect of our service is free and nonobligatory. You do not pay for the site visit or the back end research. You do not have to pay for the verification of the pertinent details or the drafting of the sale agreement. You would get the purchase offer for free and you would not be under any obligation to respond within a stipulated time. You are bound in no way. That is how we buy houses in Ocean City, New Jersey. If you are looking for a simple and surefire way to sell your house, then Dependable Homebuyers is your only practical choice.